We recently went skiing and during our hunt for the perfect travelling baby bag, we discovered Pacapod. I needed a bag big enough to cope with two under two and our hand luggage as well as being comfortable to carry with a baby in a sling. 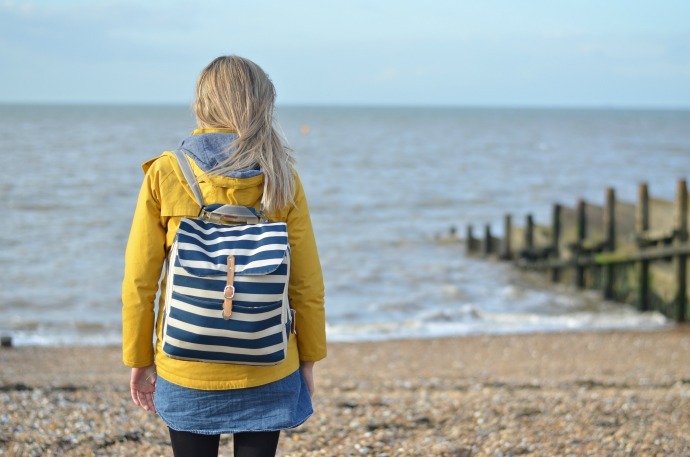 The Hastings bag fitted every criteria, being spacious, easy to access and able to be worn as a shoulder bag or back pack as well as attached to a buggy. Pacapod kindly sent us one to take away with us and we have been using it a lot over the last couple of months. 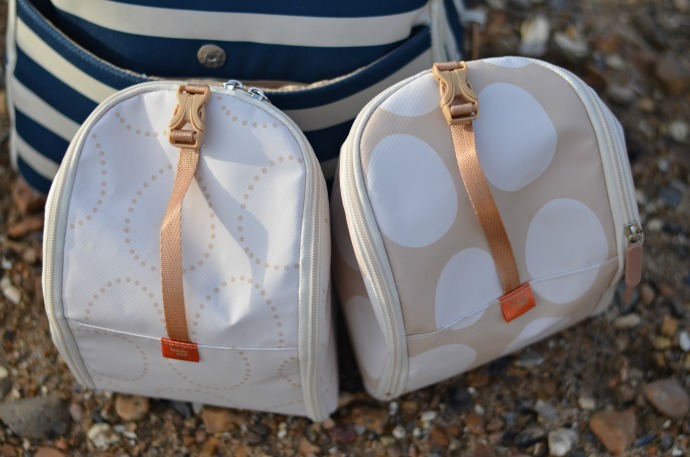 Pacapod's most unique feature is the pods that each of their bags contains. Inside the main zipped pocket, there are two waterproof zipped pods, labelled 'change pod' and 'feeder pod'. 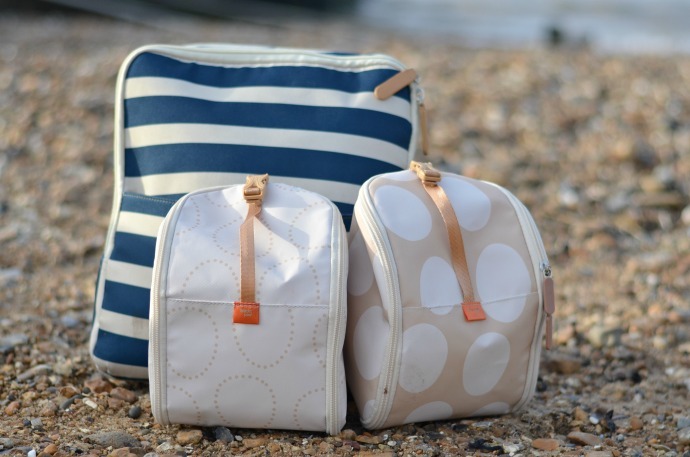 Each one has a handle so it can be attached to a pram or carried easily if you don't want to take out your whole changing bags and they are easy to grab on the go. As Cora is breastfed and we tend to have a seperate snack bag for all the children together, we have ended up with a pod for each child. When we went away, we managed to fit in 5 disposable nappies, a pack of wipes, a few nappy sacks and a spare change of clothes in each pod, meaning I could grab Cora's pod when I needed to change her. We have kept up this system as it means if I pop out with just Cora, I can leave Finn's pod at home for whoever has him. 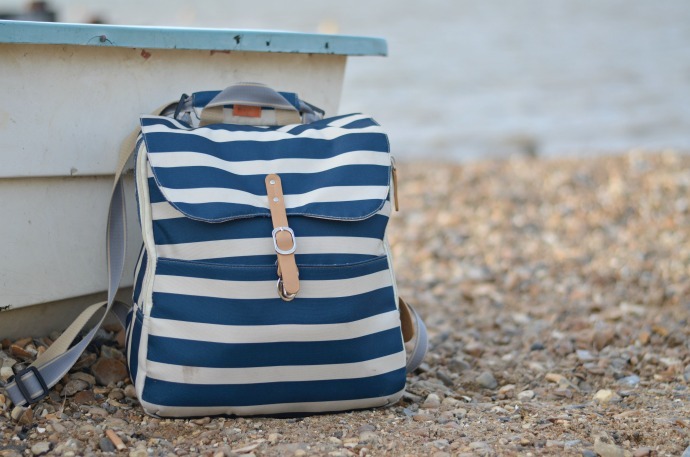 The bag come with three easy ways to carry it, there is a long strap to make it a shoulder bag, which can feed through without any playing around to make it into a backpack. There are also two pieces that mean it can hang off of any buggy making it really flexible. This is my go-to back for babywearing as I find it easy to use with a sling on my front. 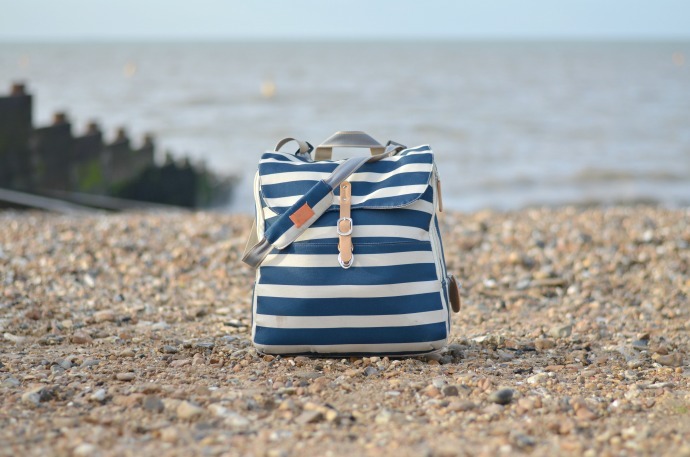 I love the style of this bag - it was perfect for our ski trip but the nautical colours will be ideal for summer holidays too, and of course it is a great changing bag to have for everyday use with all the inner pockets, easy access and a zip and clip fastening. 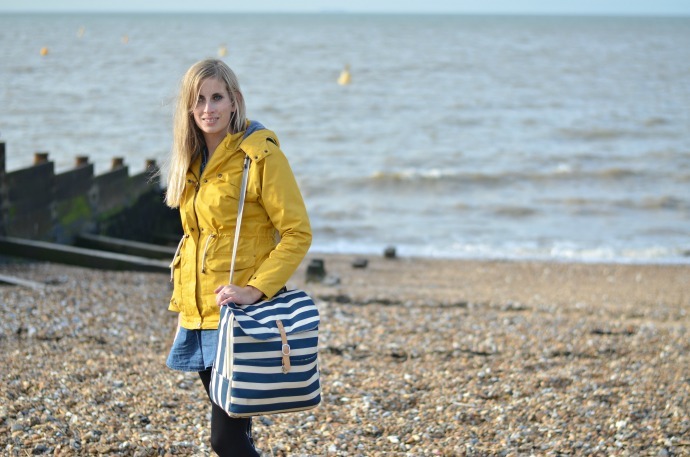 The Hastings bag comes in two colours and is available on the Pacapod website for £72. My daughter has one of these bags and its great! Such a pretty bag! And so practical.